Founded in 1859, Highgate Horticultural Society played a major role in the life of Highgate Village. 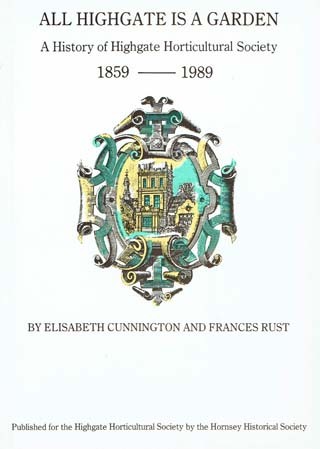 A portrait of Highgate life over a period of 130 years. Elizabeth Cunnington spent most of her life travelling in Africa and finished her teaching career in Jerusalem working for the British Council. She retired to Highgate, joined the Highgate Literary & Scientific Institution, and continued her lifelong interest in history.